Hay! here is the list of best smartwatches in India. Smartwatches here, are of top brands too! so you don’t have to be worried about brands. 1. 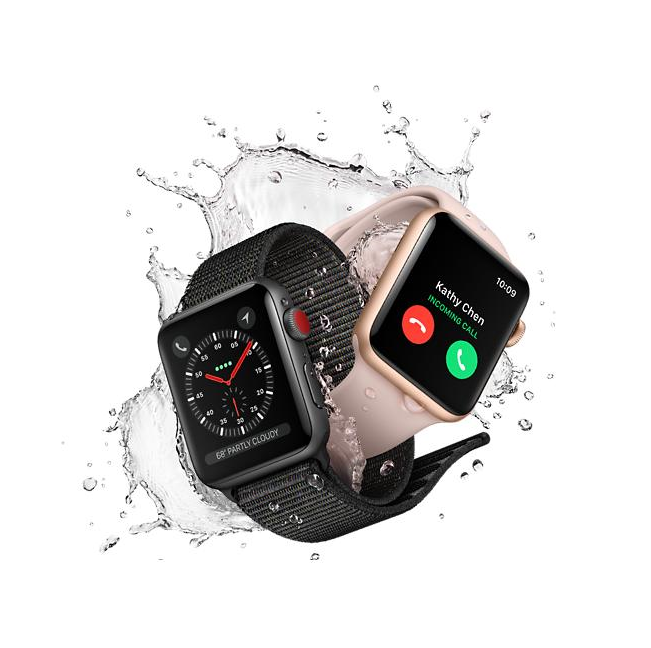 Apple Watch Series 3 GPS- The most latest smartwatch of apple which is also cellular meaning you can receive and make calls, you can ask Siri to send a message, set reminder and more! you can do it all while leaving your phone behind, You can leave your phone at home and still can get alerts from your favorite apps. It can track almost all health activities. watch faces are customisable means you can choose your favorite strap color and design. 2. Samsung Gear S3 Frontier- The Samsung Gear S3 is a truly premium watch with advanced and smart features built into the watch design, and also its easy to use! With this watch you need not want to carry your smartphone all the time, it has a bezel which do many works for you like making calls, scroll through apps, messaging.etc. With the Gear S3, you can go for upto four days before putting it down for a charge. Its battery lasts that long. It has almost all the Health tracking features. 3. Huawei watch 2 4g- This the new sport smartwatch by Huawei, this watch allows Standalone 4G Connectivity and gives you the freedom to get away from your phone once in a while. It is mainly designed for business people, gadget fans and people who want to monitor their health and fitness in Style. By simply flicking your wrist, it can bring you important notifications, this could be your perfect workout companion, you can go running or cycling with your favourite workout beats, while guided and motivated by real-time coaching, and have your trail mapped via GPS, you can do all this without the burden of your phone. You can also customize its watch faces. 4. Samsung Gear Sport Smartwatch- This smartwatch have almost all the health and fitness tracking features. Here also the watch faces are customizable, you can set health and diet goals on your phone and start tracking your progress right from your wrist, it helps you to keep your calories in balance and it also track calorie intake. It offers tips and ways that you can follow to stay on track. The Gear Sport has a water-resistant rating of 50 meters, meaning you can easily go swimming with this on your wrist, and your activity is recorded. It is smart, it can give you timely suggestions. Changing settings or replying to notifications can be done by swipe on the screen or a turn of the bezel. This watch also supports NFC-based Samsung Pay which means you can make purchases with a tap on your Gear Sport.